We actively engage the forces — intellectual trends, demographic changes, and technology — that are transforming higher education and the world. Offering highly competitive financial aid allows us to draw talent where we find it — from all corners of the United States, from around the world, and from every socioeconomic quarter. Bates is committed to fostering a living and learning environment in which all students, staff, and faculty can thrive. 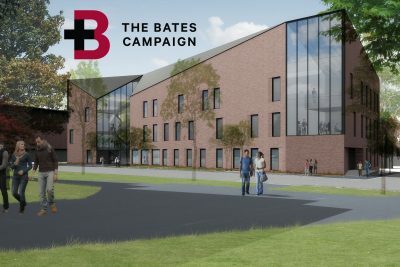 In addition to the $140 million we aim to raise to endow specific programs, a central goal of The Bates Campaign is to increase the college’s unrestricted endowment funds and support The Bates Fund.